At Dallas Podiatry Works, we are dedicated to improving our patients’ overall health and wellness by caring for their foundations: the feet and ankles. As a way of achieving that, we serve everyone with state-of-the-art technologies that positively impact the diagnosis, treatment, and follow-up of our patients. Digital X-rays—Like their traditional counterparts, areas of your body are “photographed” with X-rays. Instead of the image being captured by film, however, the radiation is read by digital sensors, which transmit the data to the computer. The doctor can then examine and adjust the image as he needs. Q Clear™ Laser—For anyone dealing with unsightly nails or warts, this laser treatment may be just what you need. It quickly eliminates the infection and allows the damaged tissues to regrow on their own. EPAT Shock Wave Therapy—This therapy targets highly focused pulses of energy at painful soft tissues in the feet and ankles, stimulating the body’s natural healing processes. It speeds up the recovery and can make a significant difference in treating chronic conditions. NeuroTherm® Pain Relief— A radiofrequency generator, this is used to disrupt the pain signals in your nerves and offer you real relief from harsh pain as you heal. Electronic medical records are one of the more important advancements in medical care. Digital records are secure, so your sensitive information is not at risk. They allow rapid access to all of your medical information, and help keep your images and important forms all in one easy location. They allow Dr. Joel W. Brook and Dr. David R. Northcutt to share necessary information with your other care providers, should you give our office permission to do so. Digital files mean you spend less time filling out forms—the new patient information can be completed electronically before your appointment. Prescriptions are also sent to pharmacies electronically, meaning no more trouble with illegible or misplaced handwritten notes. Crucial information like allergies and current medications can be flagged as well, so they aren’t overlooked. 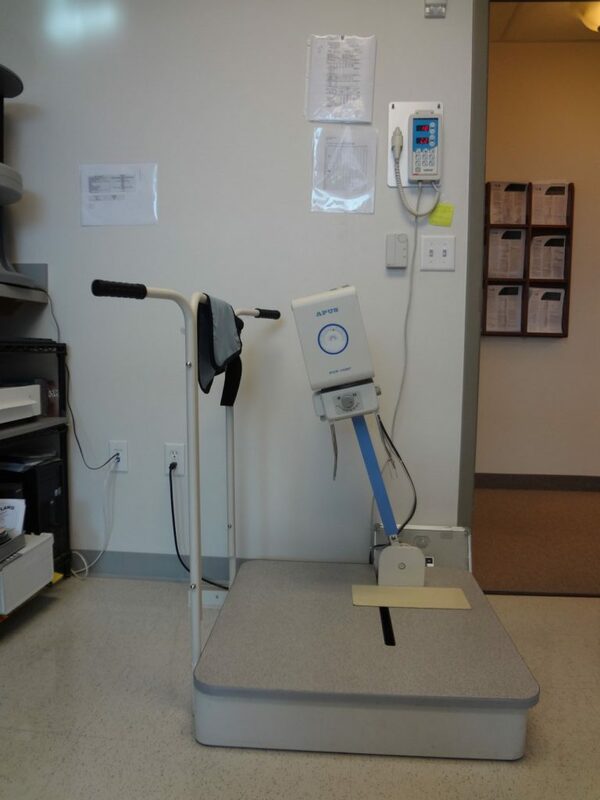 You don’t have to settle for older standards of inefficient care and outdated equipment. Advanced medical care is available today, so why accept less? Invest in your foundation’s heath. Contact Dallas Podiatry Works for the most up-to-date care for your feet and ankles. Visit the contact page on the website, or call either of our two offices to reach us: (972) 566-7474 for the Dallas location and (972) 943-3323 for the Plano office.